It is so upset for your iPhone to lose images, videos and audio calls that you really loved. Voicemails too can be sad to lose especially that are important and needed for later. This among other reasons is why we have a huge array of iPhone data applications that can be used to recover the iPhone deleted voicemails. Some of them are reputable while some brand-new, which varies in functions, compatibility, operation, UI, etc. If you are ready to know them, we will start to give you an overview of 6 best iPhone voicemail recovery software as follows. 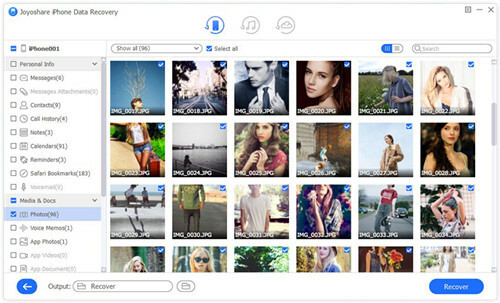 Joyoshare iPhone Data Recovery allows you to recover more than 20 iOS data files on iPhone, iPad and iPod touch with the latest iOS 12 version available. To perform as an iPhone deleted voicemail recovery program, it shows you high efficiency and wonderful service, offering possibility to extract voicemails from iTunes or iCloud backups, or directly get needed files off iPhone if no backups. Other than that, it will not overwrite your data, therefore, to ensure your information remains intact. Where is special is that it has ability to convert HEIC to JPG in a walk. This is another good example of iOS data recovery applications. Tasks such as iPhone voicemail recovery can easily be done under the help of it. Files lost form your iPhone due to many reasons such as deletion, water damaged, factory reset, iOS update, jailbreak, etc. can be retrieved with 3 simple steps. This app is there to ensure you get your videos, photos, text messages, audios, voicemails, camera roll, reminders and so on back to your phone when any of the above occurs. FoneLab iPhone Data Recovery is a fairly easy-to-operate tool that is used for recovery of files. 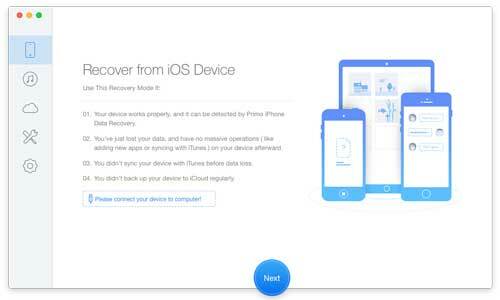 By just a few clicks, a multiple recovery processes can be done for many iPhone files, such as photos, videos and voicemails, iMessages, notes, call history, etc. which is worth to try. Its speed can be ranked at the top compared to other applications. Best of all, it can compatible with iOS 12 powerfully. Meanwhile, it claims its competency to work with iPhone XS/XS Max/XR. 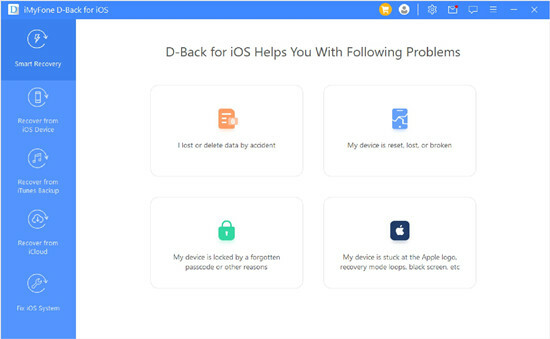 iMyFone iPhone Data Recovery, just like the others, is yet another superior voicemail recovery app applied to help restore deleted voicemails on iPhone. With the exception of voicemails, it can also support more data types, like photos, contacts, videos, messages, app data, memos, music and so forth. 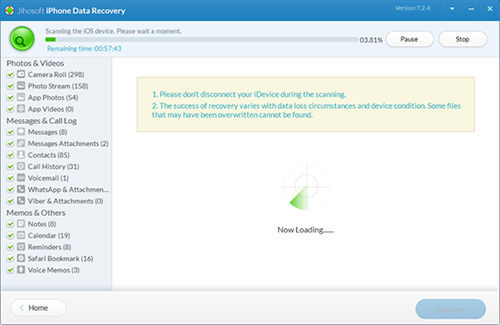 With a smart recovery mode, it provides you normally with workable scenario tips. Alternatively, what is essential is that it cannot only recover data from iOS devices but also restore files from iTunes or iCloud backups. Likewise, Tenorshare UltData is as well an excellent iPhone voicemail retrieval tool that includes support to 20+ iOS file types, for instance, Safari bookmarks, videos, calendars, app attachments, SNS messages, reminders, contacts, notes, etc. The data from iPhone/iPad/iPod touch or iTunes & iCloud backups can be extracted flexibly. 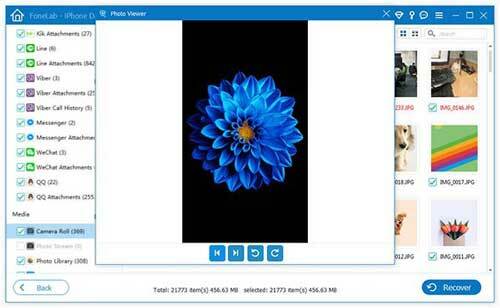 What have to mention is that, similar to Joyoshare iPhone Data Recovery, this compact tool can selectively mark desired items as per actual needs. There are 25 iOS data files are supported to find by Primo iPhone Data Recovery. Under the 3 common recovery modes, files like notes, call history, iMessages, Safari bookmarks, etc. can be readily backed to your computer. Its utility is guaranteed as it supports different iPhone models. It saves the client on spending a lot of data during file recovery. It can also update errors and fix the iOS issues. According to the services offered by the above applications, you are guaranteed various iPhone voicemails recovery means, which can be accomplished professionally. However, choosing a right tool does require a lot of thought. If you have no idea, you can learn some tips to choose best iPhone data recovery here.